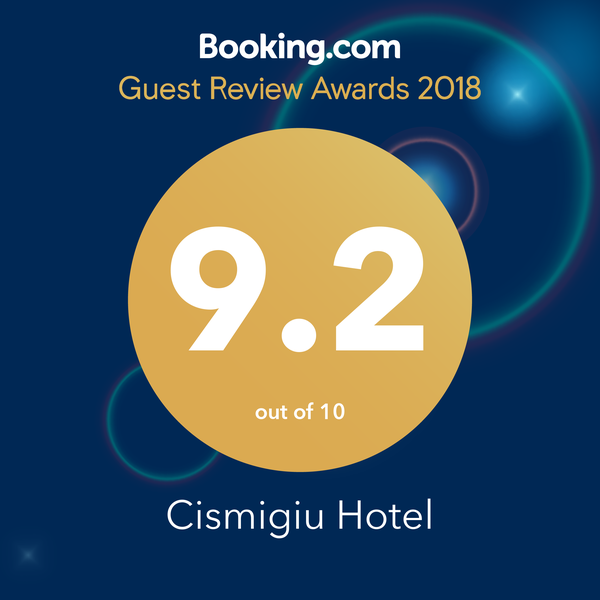 This suite at Hotel Cismigiu offers you the vibrant view on the boulevard and peaceful nights in a hotel located downtown Bucharest - so close to the most important business centres in the city, mainly the Palace of Parliament. The suite has a separate living room, sofa bed, and stylish bedroom. The suite has a desk, Wi-Fi connection, telephone, safety box, minibar, and coffee machine, as well as air conditioning, walk in shower, hair dryer, makeup mirror and Chopard cosmetic products. Some rooms have a modern kitchen equipped with energy efficient ceramic hob, refrigerator and sink, or balconies with a view to the boulevard. Room service available every day from 12.00 PM to 11.00 PM. Breakfast: Monday-Friday: 7:00 AM to 10:30 AM, Saturday-Sunday: 7:00 AM to 11:00 AM.